When the choices in carpet were limited to basic beige, designers treated it more often than not as a neutral background for room furnishings. 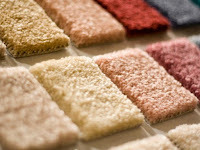 Now, with numerous textures, patterns, and colors available at Americarpet, carpet is emerging as the focal point in some interior designs. The need for neutral carpet has not gone away. Berber is still a popular choice. 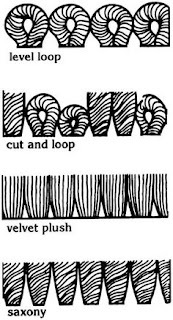 But unlike the plain Berbers of the early 1990s, today's versions have more texture and pattern. Even the more traditional Berbers offer more visual interest with more extreme differences in pile cut and thicker, deeper loop textures. Color sprinkled against a neutral background adds interest and dimension while it helps mask spots and spills. Flecks of color are now appearing against tan, beige, and cream backgrounds as well as in the "new neutrals" of soft greens, pale yellows, and shades of blue. A major shift in new products is toward layered color and soft texture in carpet. A combination of texture and pattern will always be popular because it minimizes soil and vacuum marks. But the other advantage is that color and texture offer more distinctive styling and fashion appeal. 2a.